Selecting the exact cabinets you need to fit your desired space can be difficult. With the various sizes, colors, designs and functionality options – the entire process can be quite overwhelming. With the aid of Cypress Cabinets, we can assist you throughout the entire process and make it very stress-free. We believe that seeing a picture is not necessarily the best way to make cabinet purchases. 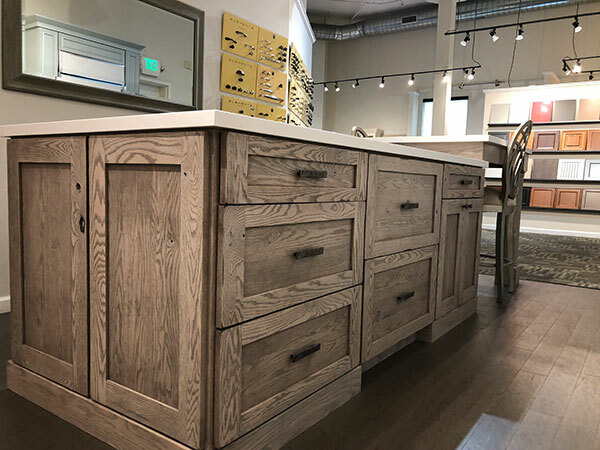 With over 3,000 square feet of cabinetry in various configurations, colors and designs, you have the ability to not only see, but touch and feel your potential cabinets. 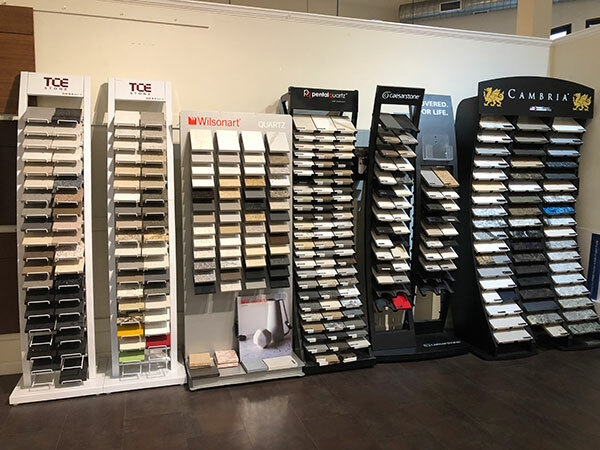 Our showroom also comes with the benefit of our unique design software that allows our designers to show you exactly what your cabinets will look like in your space. This benefit requires an at home visit for measurements but is a priceless advantage offered to you by Cypress Cabinets. Cypress Cabinets employs a group of highly skilled interior designers to assist you in the design and selection of your new cabinetry. 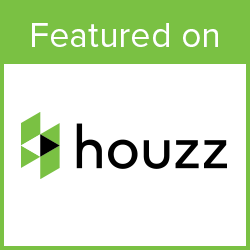 This enables you to make an educated decision with the aid of a professional that has a great deal of experience designing and implementing cabinetry ideas into customer’s homes. Take advantage of our custom cabinet designers with our Free Design Program. More details about the brands we offer can be found on our Brands We Use page. 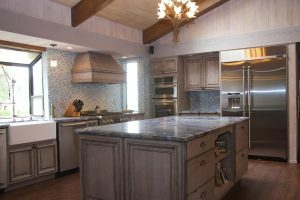 Cypress Cabinets offers local delivery and installation throughout the Monterey County area. Once you have selected your cabinets, one of our designers will help get your delivery and installation scheduled. Whether you would like our professional installers to install your cabinets or if you would rather have your own contractor perform the install, we can have your cabinets delivered to you when you need them. Cypress Cabinets would be more than happy to assist you in the design and installation of your new cabinetry. If you have any questions about any of our services, please feel free to contact us by phone or via the “Request A Quote” form on this page. Omega Cabinets, Kitchen Craft, and Kemper Cabinets have been certified in the Environmental Stewardship Program through the Kitchen Cabinets Manufacturers Association. The ESP requires manufacturers to meet standards in air quality (low formaldehyde-emitting composite wood), resource management, and environmental stewardship. Omega and Kemper Cabinets show their commitment to sustainability by being part of the Environmental Stewardship Program. Cypress Cabinets is proud to offer cabinets manufactured by these environmentally responsible companies.